After a couple of weeks of starting at Òran Mór I realised that one of the many brides that I had inherited from my predecessor Louise, I actually already knew. 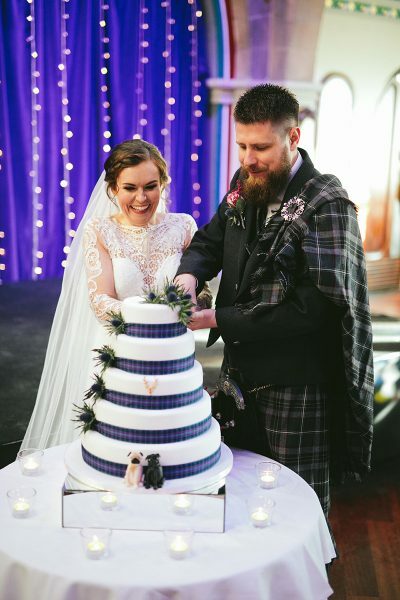 Claire Rankin had been good friends with my cousin Karen from a young age, and I had met Claire a good few times throughout my younger life. 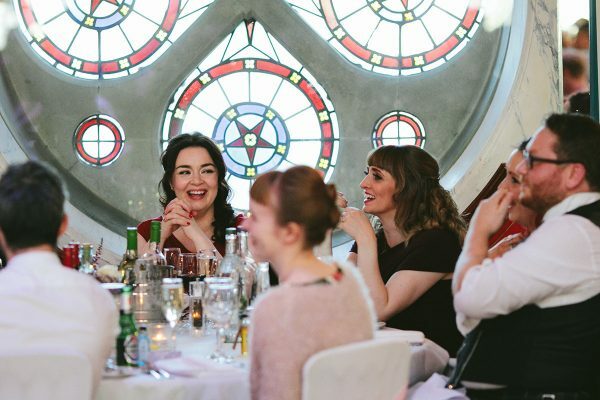 I met Claire and Karen at our first Wedding Fayre, and it was clear that Claire was very much a laid back bride. Any questions I asked her about her wedding plans, she still wasn’t sure about and with the wedding being another year and a half away she wasn’t too fussed or stressed about it – much to her bridesmaid’s dismay. 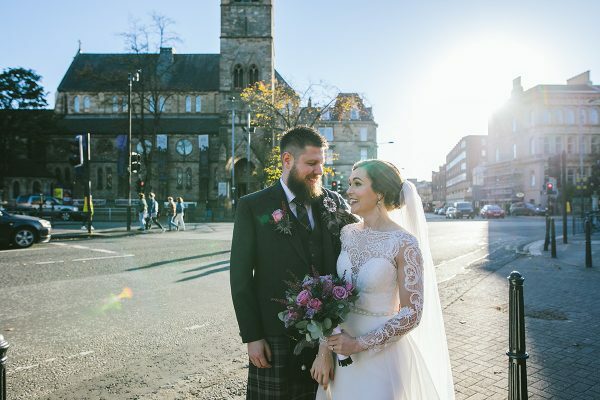 Claire and fiancé Mark came in to meet me in summer of 2018 to discuss their wedding plans. 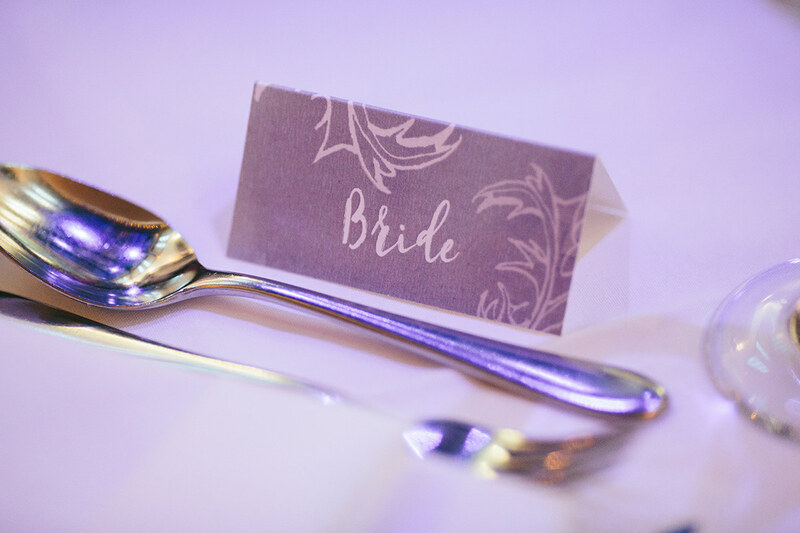 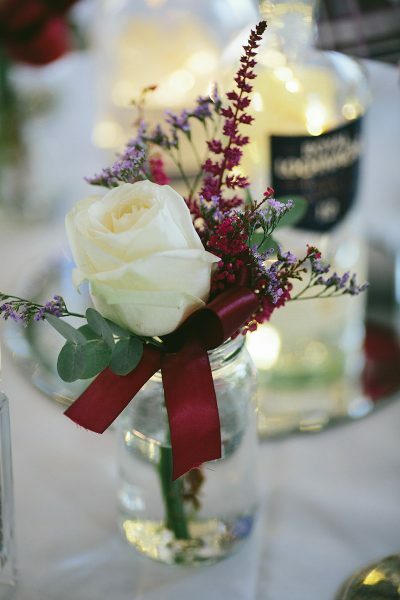 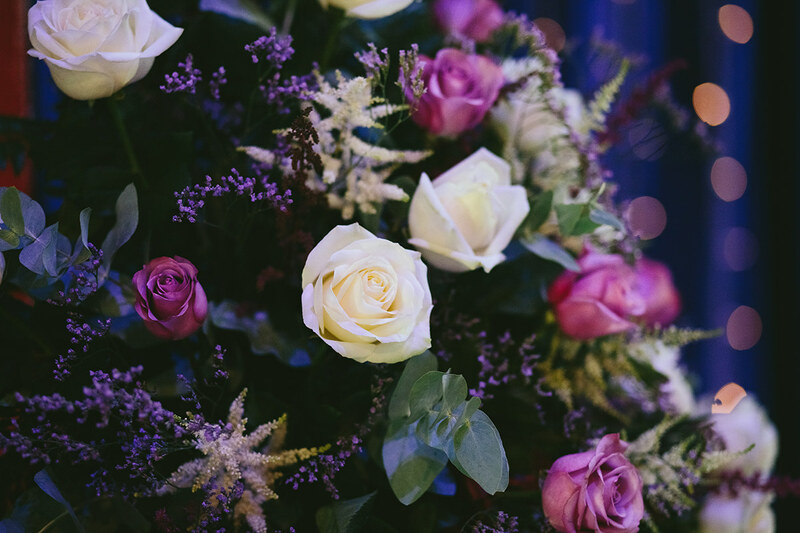 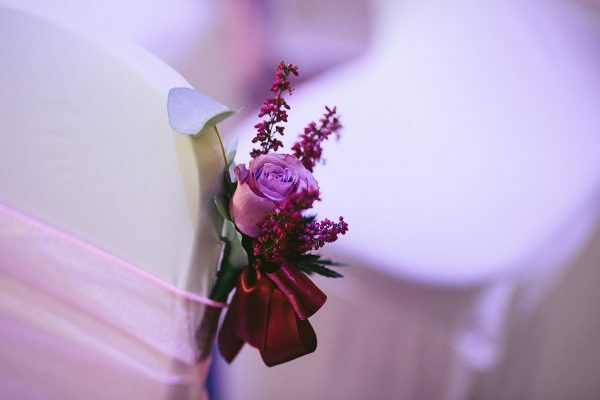 The couple had booked chair covers for the venue with our neighbours Make Believe Events and beautiful floral pieces for the end of each aisle seat for their ceremony which were provided by Artemis Flowers which matched Claire and her bridesmaid’s bouquets beautifully. 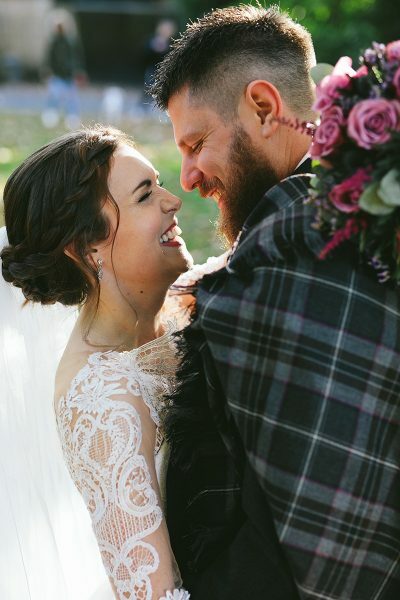 Claire and Mark had booked Ross Wright from the Humanist Society Scotland to conduct their wedding ceremony who I had worked with many times at Òran Mór. 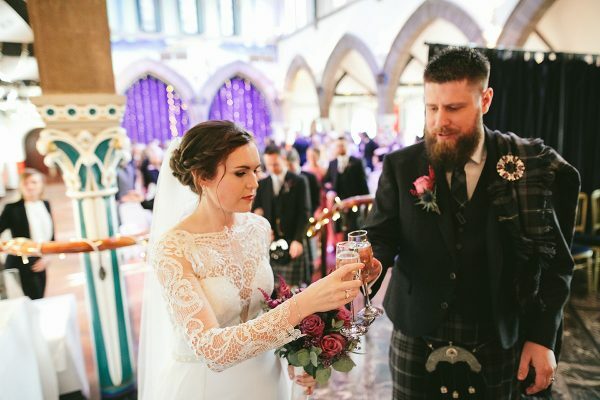 Ross Wright has a unique fun and quirky manner and always has wedding guests well looked after and entertained during a wedding ceremony. 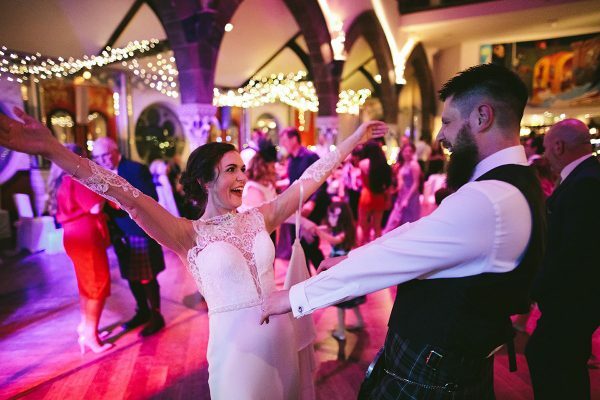 After our meeting it was clear to me that the couple’s priorities were to eat good food, drink good wine and have an absolute ball with their wedding guests. 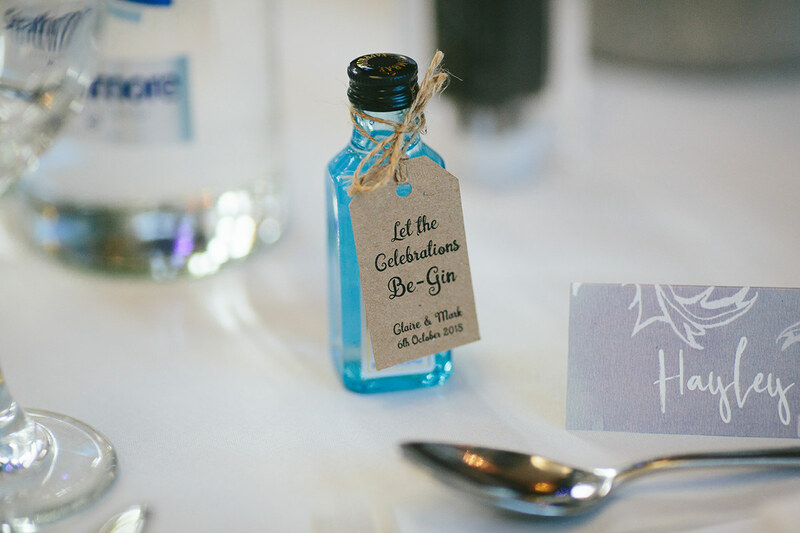 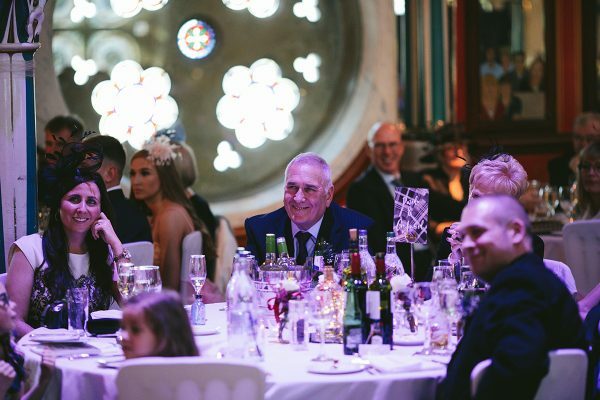 Ross Wright set this tone for the day immediately, and the simple Gin bottles for centrepieces, Gin themed table plan and Gin favours meant that the rest of the day was just as fun! 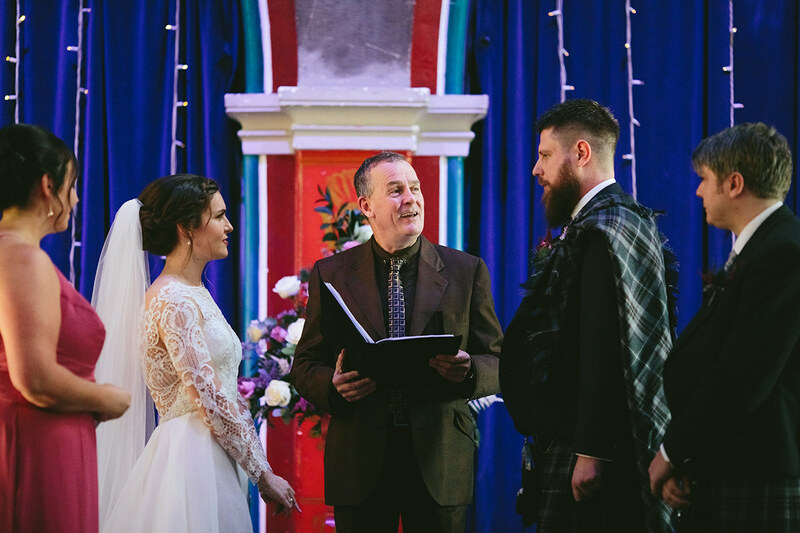 While discussing their plans for the ceremony Mark and Claire decided to have their ushers and bridesmaids standing for the duration of the ceremony which I think is lovely and made for beautiful ceremony shots, taken by photographer Fraser Stewart . 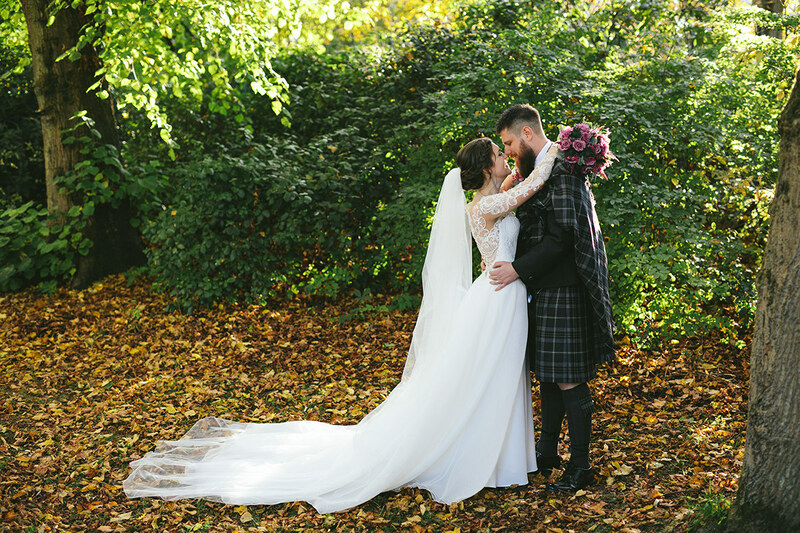 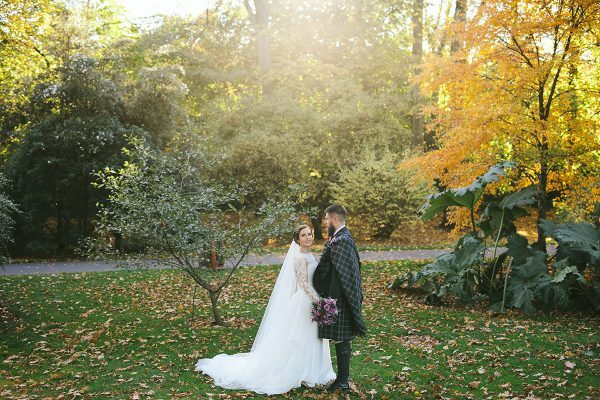 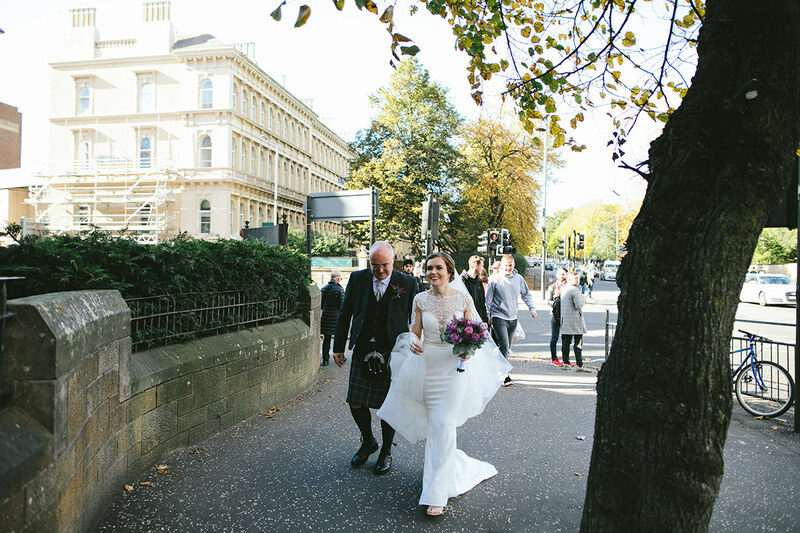 On the day of the wedding Fraser Stewart and Videographer MacDonald Studio Films, took the couple to the Botanic Gardens for a couple’s shoot where they both captured some stunning shots of the new Mr & Mrs MacDougall in the gorgeous autumnal backdrop of the gardens. 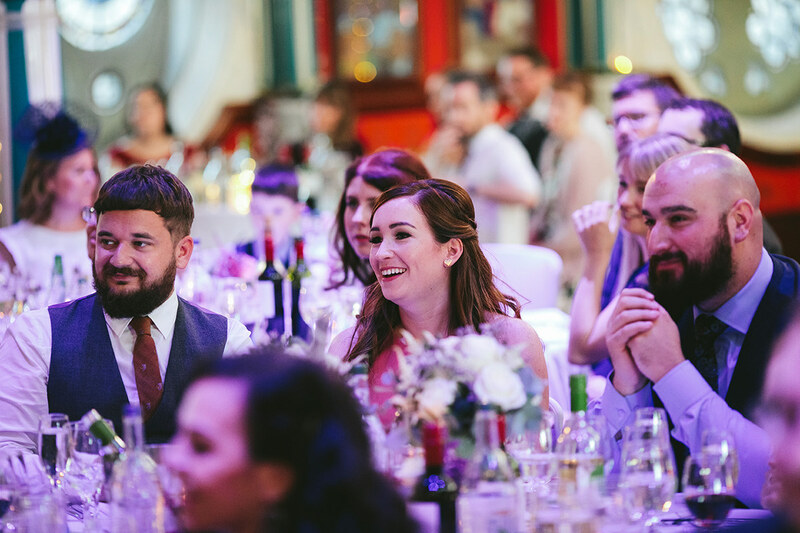 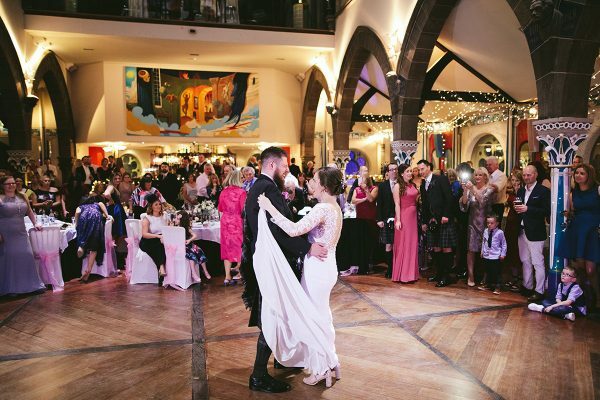 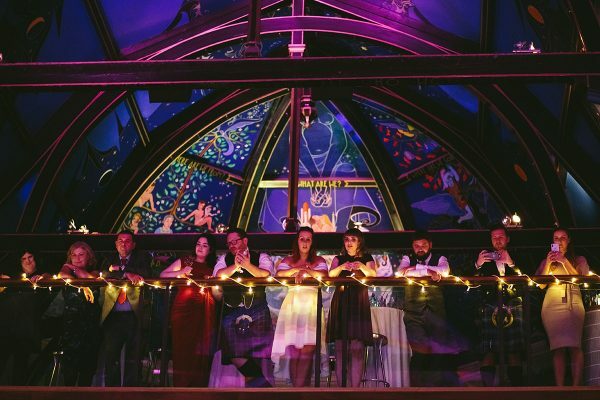 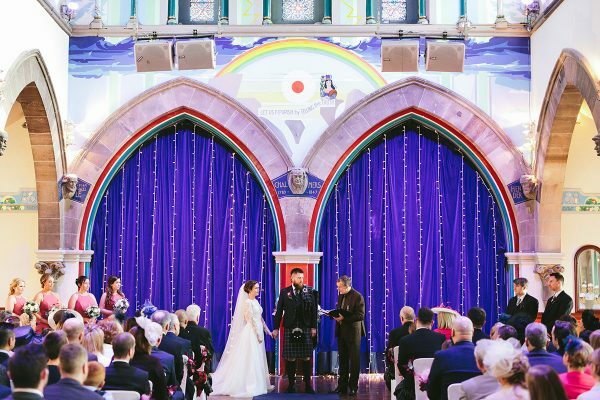 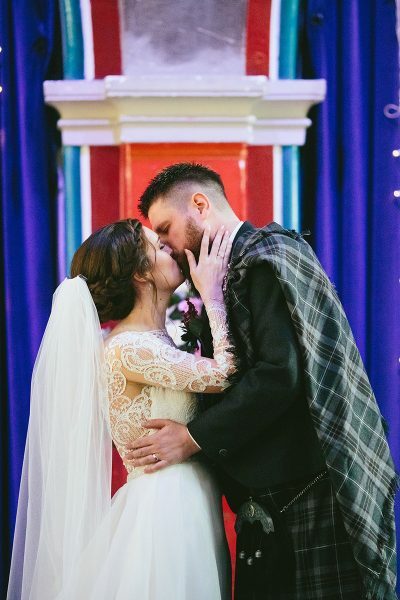 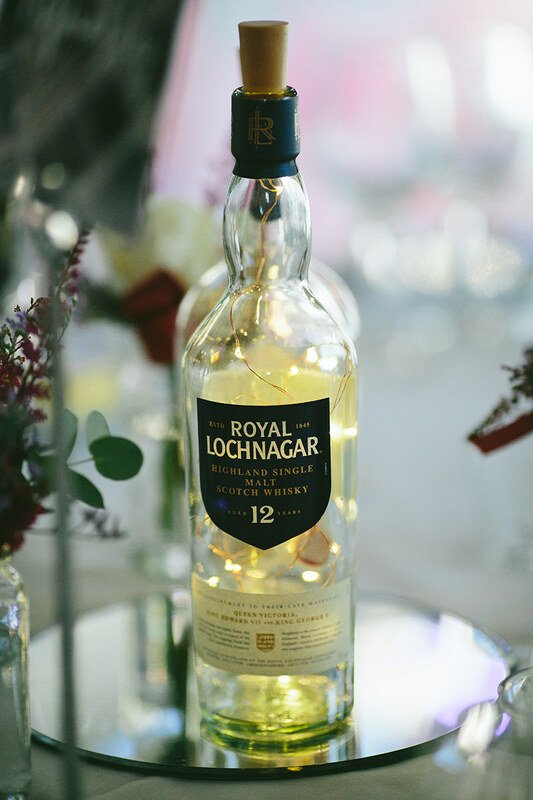 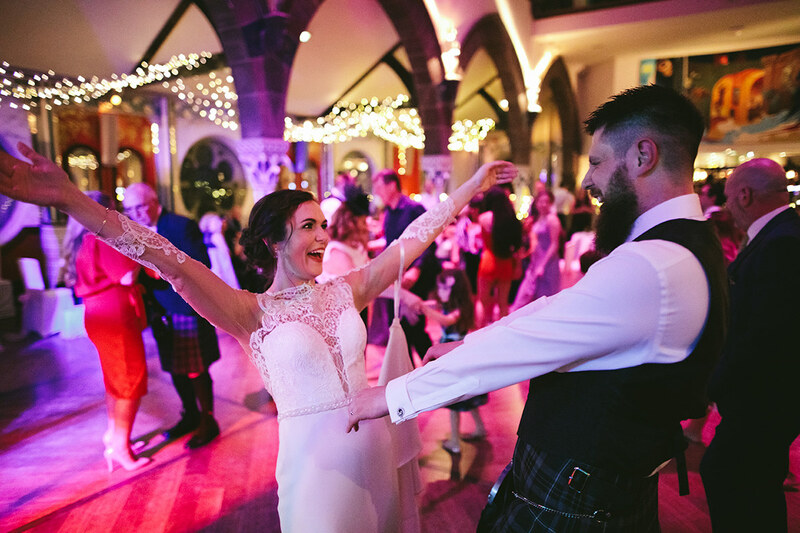 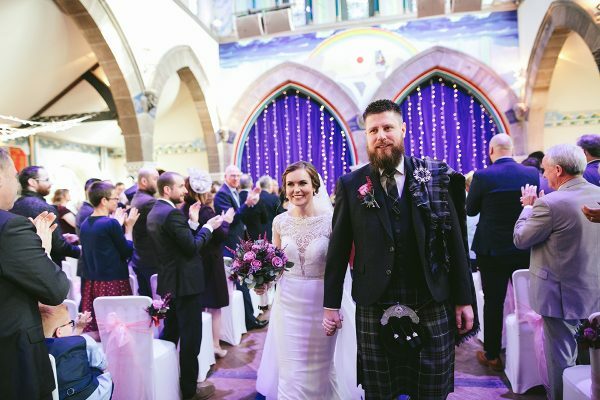 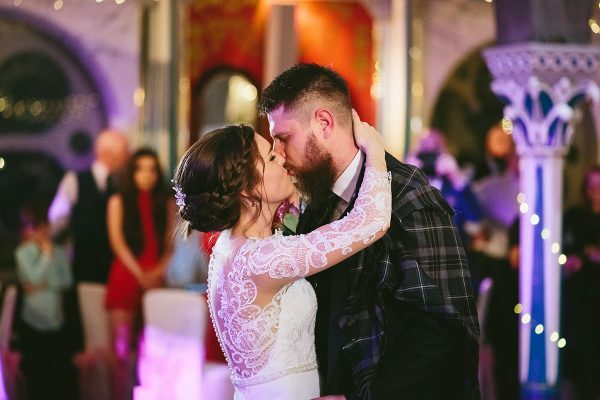 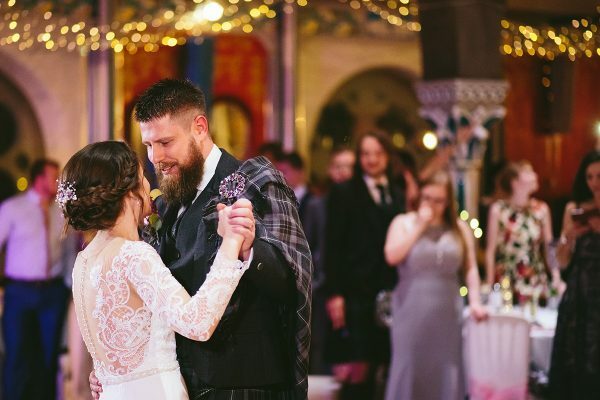 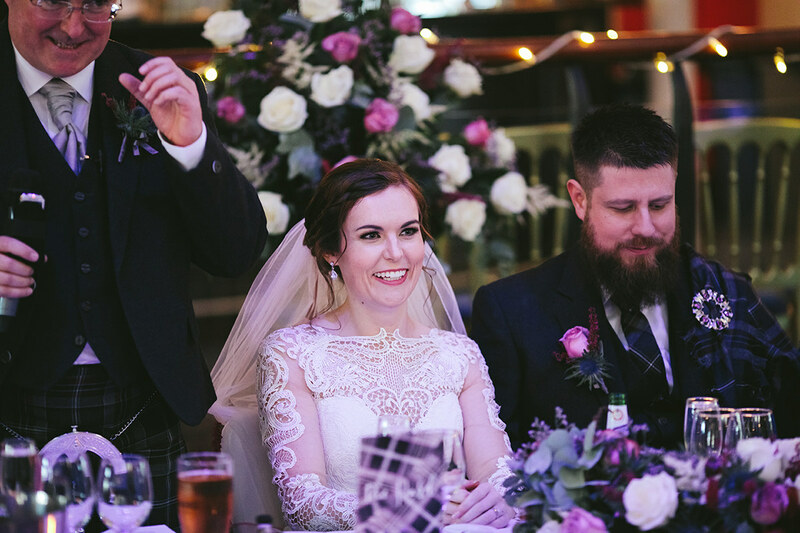 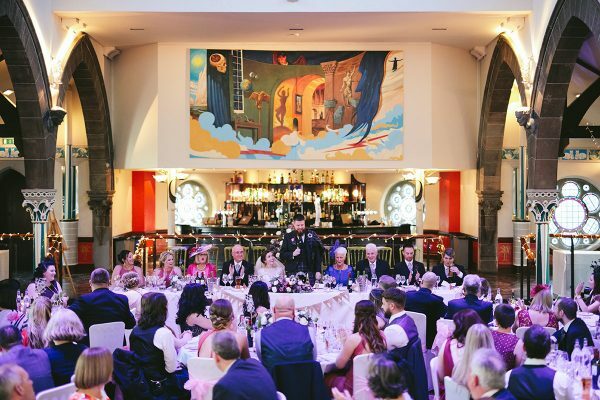 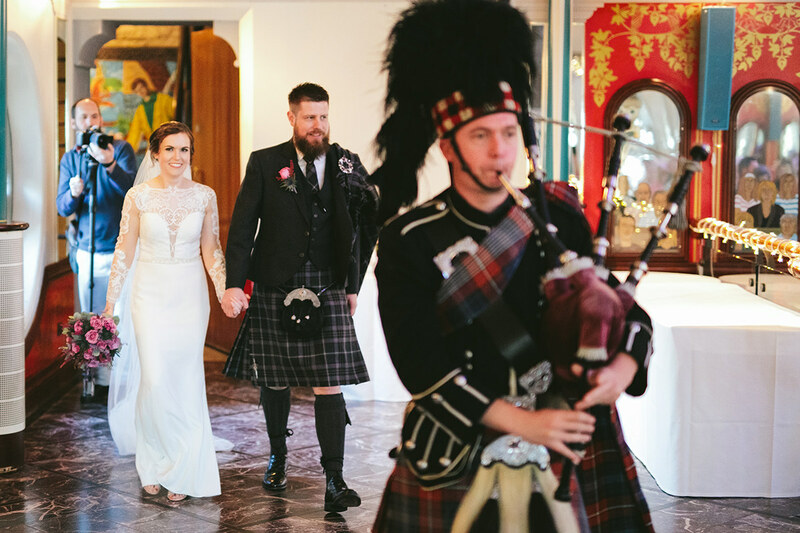 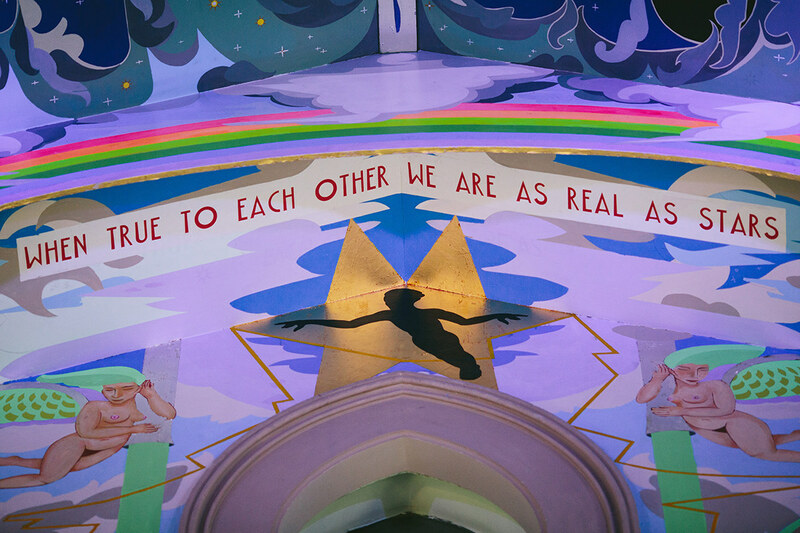 The couple promptly returned to the auditorium to enjoy the rest of their day with their friends and family where they kicked off with a piper’s entrance to dinner, followed by speeches, their wedding breakfast and finally their first dance and cake cutting. Claire had often told me about her love for her two pugs who sadly weren’t present on the day of the wedding, so I was not shocked when 3D Cakes delivered the couples wedding cake with their two pugs proud as punch bottom centred of the cake. 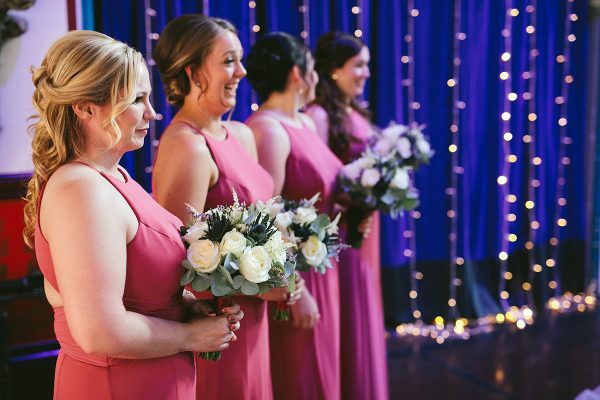 Claire and Mark’s wedding was the first wedding I had planned where members of my family were not only attending, but part of the bridal party. I have to say this was a lovely experience and it was really exciting waiting for Bride Claire and my cousin Karen who was her bridesmaid before walking down the aisle. Claire sent some feedback after returning from her honeymoon, which meant the absolute world to me and I will cherish forever.